The nearest major airport is Barcelona (BCN-Barcelona Intl.) - 12.3 km / 7.6 mi. With a stay at Safestay Passeig de Gracia in Barcelona (Eixample), you'll be minutes from Casa Amatller and Casa Batllo. 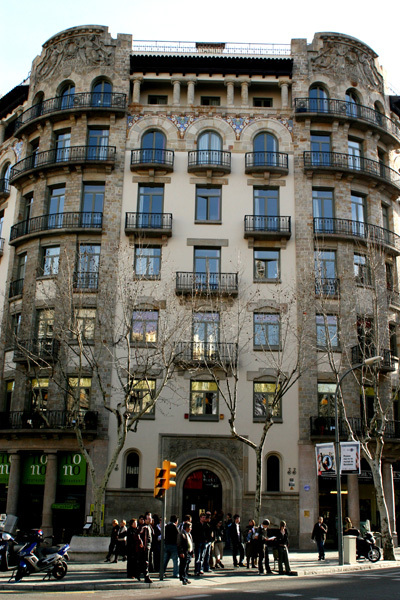 This hostel is close to Placa de Catalunya and Casa Mila. Take in the views from a rooftop terrace and make use of amenities such as complimentary wireless Internet access and a television in a common area. This hostel also features a picnic area and a reception hall. Satisfy your appetite at the hostel's coffee shop/café. Relax with a refreshing drink at one of the 2 bars/lounges. Continental breakfasts are available daily from 7 AM to 9 AM for a fee.